The Bromeliad Society International has arranged for Mexico Nature Tours to conduct the WBC pre conference tour. Tillandsia - Bromeliad Extravagana EcoTour. A similair tour in January 2017, sold out with 12 participants from the United States, Australia and New Zealand. 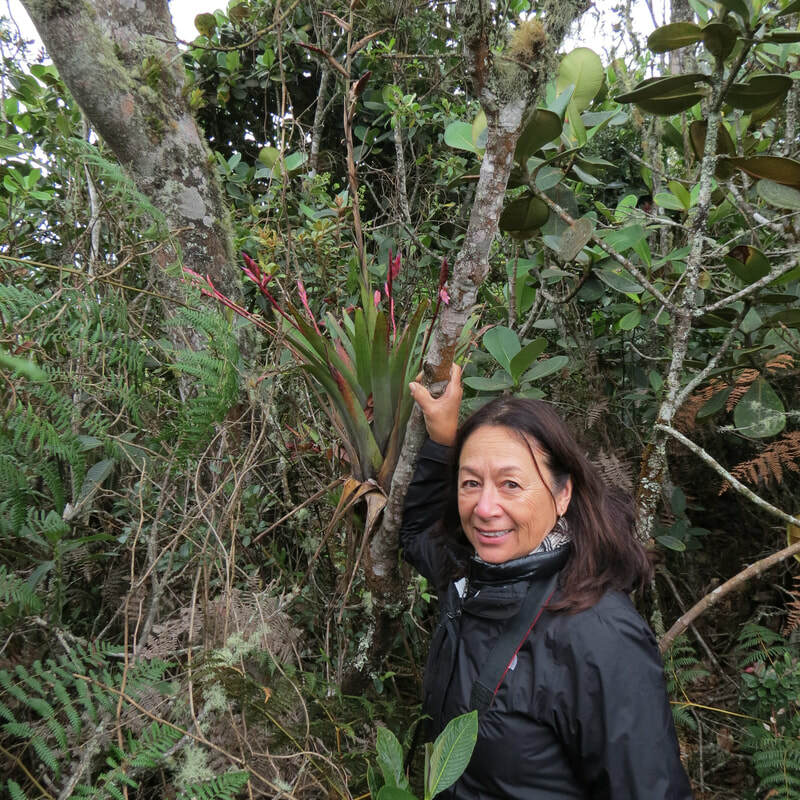 They were pleasantly surprised to see 120 species of Bromeliads, mostly Tillandsia, including several natural hybrids. ​For more information, please contact Jeff Chemnick, Mexico Nature Tours. Mexico Nature Tours is pleased to announce it's collaboration with Pamela Koide-Hyatt, to offer Bromeliad Sweep Eco tours in southern Mexico. Jeff Chemnick (owner of Mexico Nature Tours) and Pamela Koide-Hyatt (world renowned Tillandsia/Bromeliad expert and owner of Bird Rock Tropicals) have more than 60 years combined experience traversing Mexico in search of plants. ​They will lead a group of bromeliad enthusiasts to visit as many bromeliad species (with emphasis on the genus, Tillandsia) as possible during a botanical Eco tour through the Mexican states of Oaxaca and Chiapas. The tours begin in Oaxaca City and end in Tuxtla Gutierrez, Chiapas. We will travel in a luxurious, 20 passenger minibus (though group size will be limited to 12 participants) with plush seats, and air-conditioning. The tour price will include hotels, meals (and tips), beverages, transportation, fuel, guide costs, tolls, entry fees, and snacks from point of origin in Oaxaca. We will traverse numerous mountains and canyons in search of the many spectacular bromeliads in the region…the most botanically diverse in Mexico! And of course, in addition to the bromeliads, we will see many other plant groups such as agaves, cactus, crassulas, cycads, palms, orchids, beaucarneas, burseras, and dasylirions. If you have always wanted to visit southern Mexico on a botanical Eco tour…and you love tillandsias and other bromeliads---this trip is for you! For additional information and reservations, contact Jeff via email: jeffchemnick@cox.net or call Jeff: (805) 705-3397. We are looking forward to having you aboard! 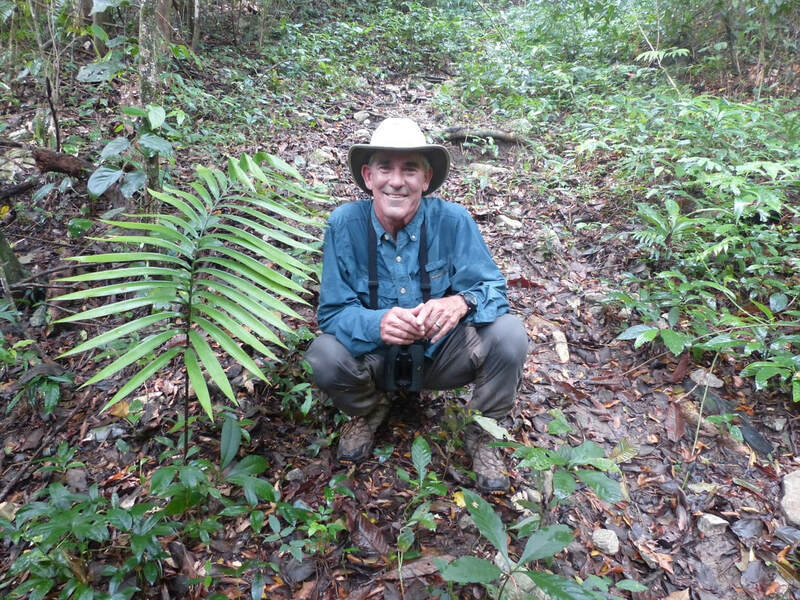 ​Jeff Chemnick has been leading botanical Eco tours throughout Mexico for over 30 years to show groups the most sought after plant families in the country. Jeff, the owner/operator of Mexico Nature Tours (see www.mexiconaturetours.com), is a member of the IUCN Cycad Specialist Group and is currently co-authoring a book on the cycads of Mexico. Pamela Koide-Hyatt is the owner/operator of Bird Rock Tropicals and has been researching tillandsias in Mexico for over 30 years. Pamela is a world expert on the genus Tillandsia. As a grower and hybridizer, she has introduced many species and varieties into cultivation. Pamela is a frequent lecturer at national and international conferences.